"The FDA offered no meaningful justification for ripping a hole in the statutory framework," according to the lawsuit filed by the American Heart Association, the American Academy of Pediatrics, the Campaign for Tobacco-Free Kids and others. Health advocates have worried about the popularity of vaping products among kids and the potential impact on adult smoking rates in the future. A government-commissioned report in January found "substantial evidence" that young people who use e-cigarettes are more likely to try cigarettes. About 10 percent of high school students report using vaping products, according to the latest federal figures. 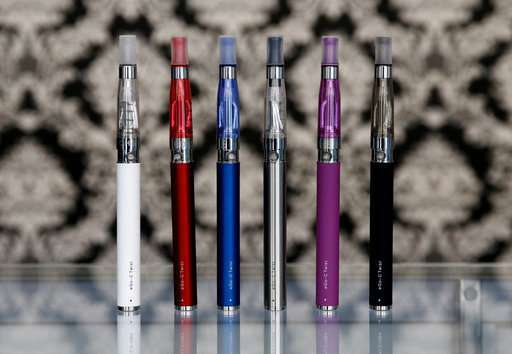 Gottlieb told the Associated Press in an interview earlier this month that the FDA would soon take action against "products that are being marketed in kid-appealing ways," including e-cigarettes. But he also emphasized that he doesn't want to eliminate e-cigarettes and other alternative products might have a role in steering adult smokers away from cigarettes. "What we don't want to do is snuff out the potential for that innovation before we really have the opportunity to properly evaluate it," Gottlieb said. The FDA is in the process of rolling out a sweeping anti-smoking designed to make it easier for smokers to quit by cutting the nicotine levels in cigarettes. As part of that plan, Gottlieb has suggested some smokers could be directed toward alternative products that deliver nicotine without the carcinogens of burning tobacco. To date, the FDA has not granted any company permission to market its product as "reduced-risk" compared to traditional tobacco.